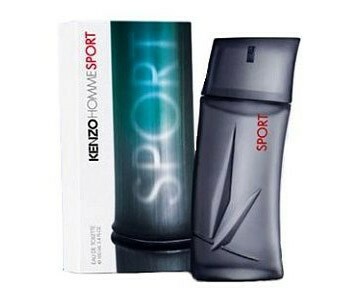 The trend of sports fragrances of the Olympic Games year 2012 continues with Kenzo introducing a new edition of the famous perfume Kenzo Homme - Kenzo Homme Sport. New Kenzo Homme Sport is a woody - spicy scent refreshed with citrusy flavors, ideal for athletes and those who enjoy sporting activities. The fragrance is created by perfumer Francois Demachy of the upper notes of grapefruit, mint and lemon, the core that includes geranium, ginger and various spices, and the woody base of cedar and vetiver. It is recommended for casual wear.